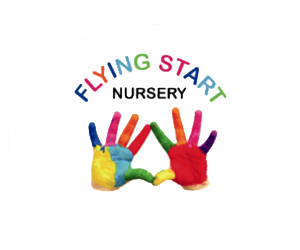 Flying Start Nursery is family owned by Dann and Lorraine Slater, who have three children of their own.. The Nursery is situated in a beautiful former ‘Church Manse’ on the Main Street of Sauchie.. The building has been extensively refurbished and modified to meet the various needs of all children’s age groups, with a caring and friendly ethos and high standards throughout. Car parking is located to the front, with a large secluded garden play area to the rear, with a spacious decked area to the side specifically for the under 2’s. Inside the building is bright, airy and clean with a happy and calm atmosphere. We are registered with the Care Inspectorate for up to sixty children aged between six weeks and school age. The Care Inspectorate carry out routine inspections of the Nursery to ensure that the Standards of Service provided are maintained. We also work in partnership with Clackmannanshire Council to provide funded places to children aged three years and above. Our greatest asset is our staff and they are all registered as Childcare Practitioners with the Scottish Social Services Council. They are all members of the PVG (Protecting Vulnerable Groups) Scheme. The Garden – Our extensive garden can be utilised by all the children within the Nursery where we try to replicate our indoor activities. We have a separate enclosed baby and toddler area; A paved track to ride the many bikes and trikes; barked area for our climbing frames, sand and water play; raised planters where we grow flowers and vegetables; grassed area to relax and feel the grass on our feet; a Wendy House for that all important role play; construction site where real tools and real bricks aid learning and problem solving. ICT including PC, iPads, Wii, Lightbox, Remote Control Cars, V Tech and many other electronic toys and equipment. Physical Play – we have weekly visits from the Active Start team who work with the children to give them an all round experience of all things physical. To aid gross motor skills we have a climbing frame, trampoline, balance beams, see saws, tunnels, bikes and trikes.